A tone-tweaker's dream come true, with double the power of the original Tweaker! 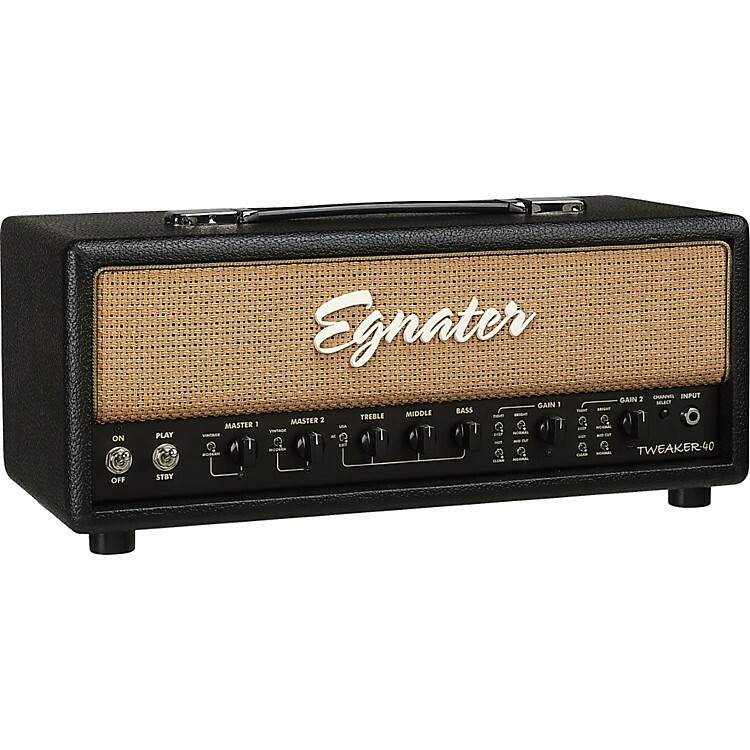 The Egnater Tweaker-40 tube guitar amp head is an expansion of the award winning Tweaker-Series and is packed with the features tone tweakers have been asking for. The Tweaker-40 head offers the classic tonal characteristics of the original Tweaker with more than double the power, 6L6 tubes, and two independent channels, each with an expanded set of Tweaker switches. The Tweaker-40's 11 onboard Tweaker switches provide a wide range of vintage tones, from ultra-pristine cleans to oversaturated leads. Use the USA/AC/BRIT switch to dial in your choice of American, British, or VX EQ. The Hot/Clean selector takes you on a journey from low to high gain, while the Vintage/Modern switch transforms the amp's feel from classic rock to modern edge. The Mid Cut switch sculpts the critical midrange while Egnater's signature Tight and Bright switches let you shape the low and high-end. Incredibly versatile all-tube tone with power for the big gigs! Get your Tweaker-40 now!